Is God’s word growing and producing a bountiful harvest of righteousness in you? What is the condition of the soil of your heart? Jesus tells us that God’s word sometimes ends up on a rocky path where it is trampled upon and eaten by the birds. This is a heart where the seed is stolen before it can take root and grow. The word doesn’t have a chance in such a heart. Other times God’s word is planted in rocky ground. These hearts initially hear the good news, but their roots are unable to go down deep and they quickly dry up in the time of testing. When things get tough, they haven’t allowed the word of God to grow deep and they quickly dry up and wither on the vine. Other times God’s word is planted in thorny soil. The weeds of prosperity, pleasure and the worries of life come and choke the word. The pursuit of pleasure and things keeps the word from maturing, as it should. It stunts the growth and we prove to be unproductive in our faith. But thankfully for others, God’s word takes root in good soil that represents “those with a noble and good heart, who hear the word, retain it, and by persevering produce a crop” (15). Don’t allow God’s word to be stolen from you. Don’t allow times of testing to choke out the word. Don’t allow the pursuit of pleasure or wealth or the worries of this life keep you from being productive. 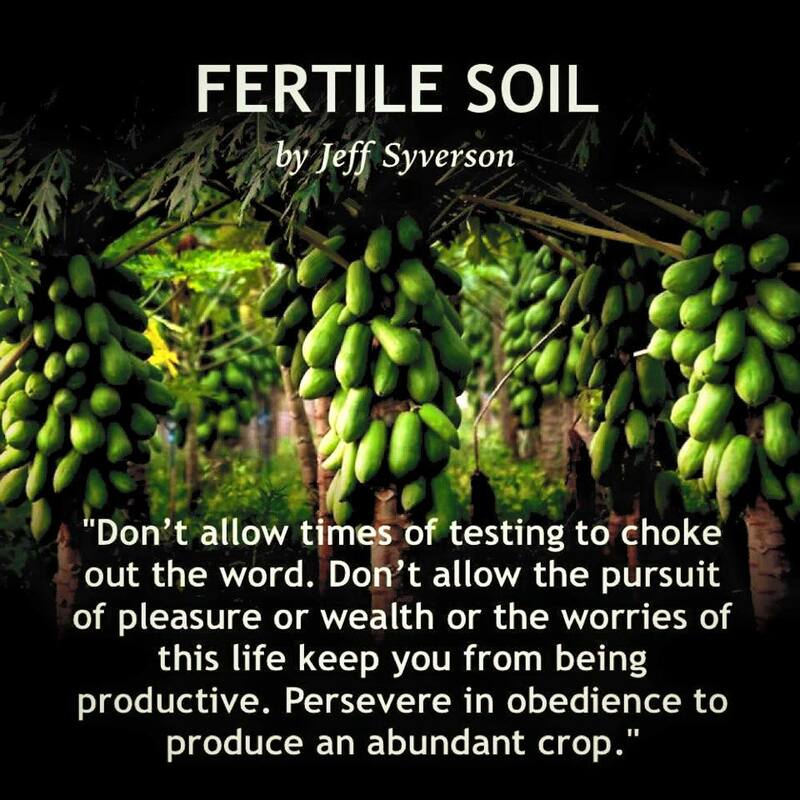 Open up your heart to God: hear, retain and persevere in obedience to produce an abundant crop.